I’ve spent two weeks taking in the Kony 2012 phenomenon. It’s not all bad, but it mostly is. HITTING THE JACKPOT WITH KONY. The guy is storytelling gold. Enormous studios in Hollywood dream of finding such a perfect villain. In film school at USC I had the good fortune of taking Frank Daniel’s script analysis class. He was one of the legendary instructors. He created the 8 sequence model for screenwriting. David Lynch spoke at his memorial service and credited him for much of his success. The guy was amazing. So now take that basic rule of storytelling and think about Joseph Kony. Is there any better villain in the entire world right now? The founders of the Invisible Children organization realized this. When you combine this element of FEAR, with the element of HOPE, examined by Teju Cole today on The Atlantic‘s website, you get the classic Hollywood screenwriting combination of “Hope and Fear” that is at the core of most powerful storytelling. When you get that, you get to ride the rocket to communication success as the Kony folks have done. EVERYONE is always desperately searching for a good villain. Just look at Hollywood where they have been run through the wringer over the past few decades, forced to let go of almost all ethnicities as bad guys. As soon as you try to make your bad guy an Italian American or Muslim or Eskimo you’ve got their respective anti-defamation group coming after you. But there ain’t nobody gonna come after you if your villain is a guy who makes children eat their parents or whatever they say he does. Kony is storytelling gold. 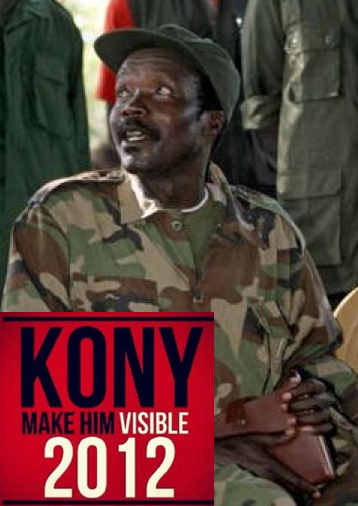 A lot of people are asking what can be learned from the success of the Kony 2012 video. There are some things, as I’ll discuss in the next essay. But just be aware that fear is the number one motivational factor and you aren’t going to find a much better villain to light the bonfires of fear in the masses than Joseph Kony. He’s the jackpot. So of course the Invisible Children organization cashed in on that (until their leader ended up last Thursday running naked through the streets masturbating — roops! ).